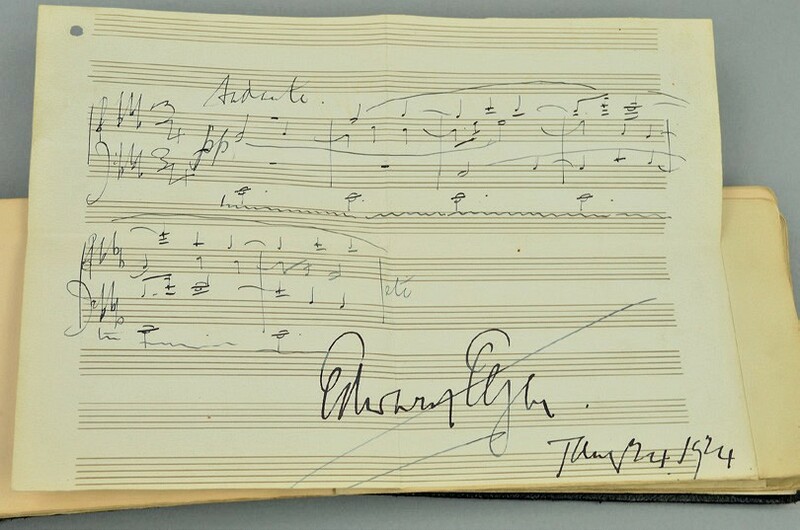 An Edward Elgar musical manuscript, signed and dated 1924 – estimated in the region of £1000 at Richard Winterton. Believed to be an undiscovered melody not previously heard before, this andante notated on musical manuscript is signed by the composer Edward Elgar and dated 1924. The piece of music, possibly a brief overture scored for a string quartet, had been tucked inside an autograph book collected by Lydia Tabb, a matron and fundraiser for the children’s charity Barnardo’s who died in 1983. It features in a sale at Staffordshire saleroom Richard Winterton in Lichfield on March 26, estimated in the region of £1000. The lot can be viewed on thesaleroom.com. ‘Mazer bowl’ featuring a rare waterlily by Louis Osman – estimated at £10,000-15,000 at Dix Noonan Webb. Consigned on the back of Dix Noonan Webb’s auction of the personal archive of Louis Osman (1914-96) last year, the London saleroom will offer this one-off piece by the designer on March 26. 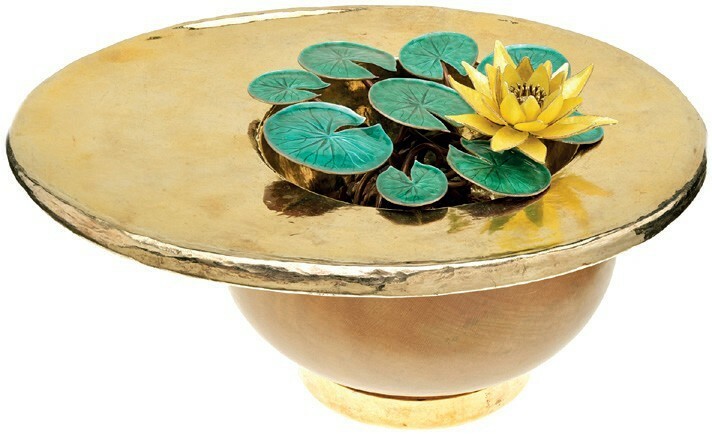 Made from silver gilt, titanium, laburnum wood and enamel, it is designed in the form of a medieval drinking vessel known as a ‘mazer bowl’ and features a rare waterlily found in the Bodnant Gardens in north Wales. It was made as a retirement gift in 1991 for Peter Jenkins, who was the clerk of the Goldsmiths’ Company for 13 years and had known Osman well. The piece has been consigned by Jenkins’ family and is offered with an original drawing that shows Osman intended the bowl to bear a presentation inscription. It carries an estimate of £10,000-15,000 and can be viewed on thesaleroom.com. This rare Lowestoft pug is estimated at £2000-2500. This Lowestoft pug goes under the hammer as part of Keys’ three-day sale on in Aylsham on March 27-29. 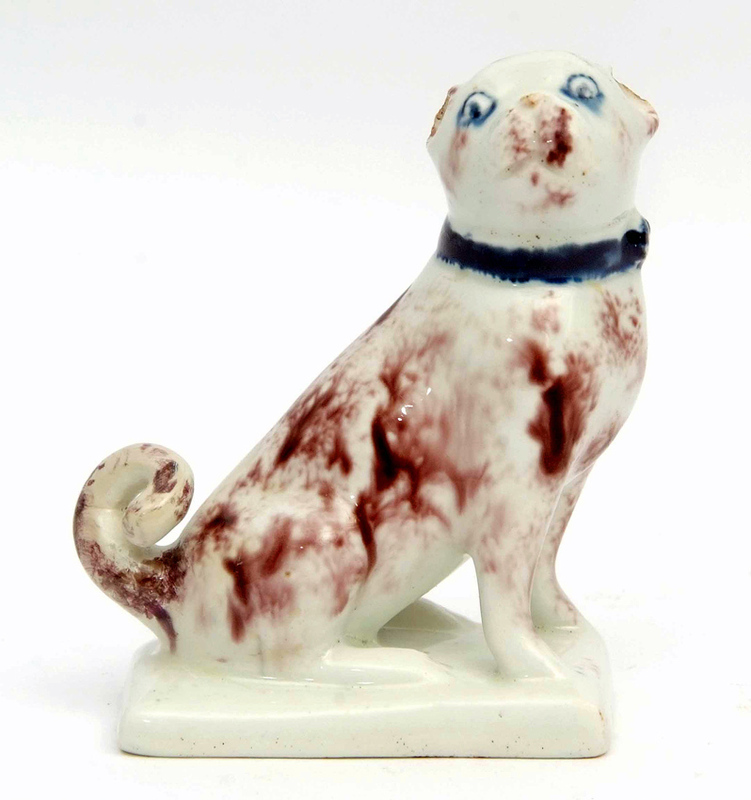 The piece, sponged in manganese with a blue collar and eyes, belongs to a relatively small group of animal models produced by the Suffolk porcelain factory in the late 18th century. It is estimated at £2000-2500 and can be viewed on thesaleroom.com. 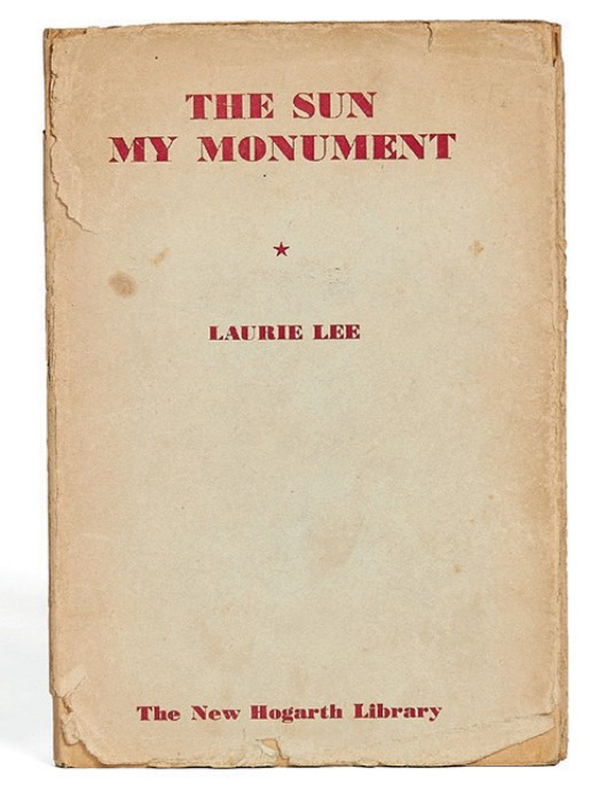 Anglo-Irish novelist Iris Murdoch owned this first edition of The Sun my Monument by poet Laurie Lee (1914-97). 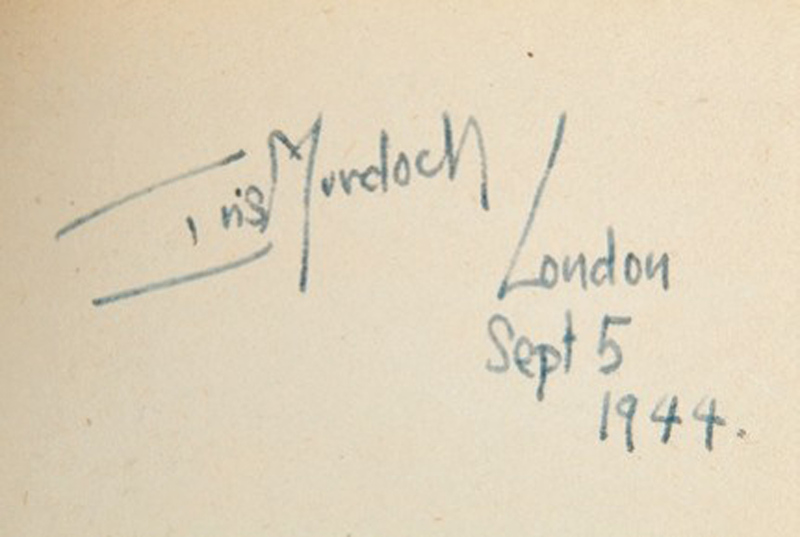 The book is inscribed in her hand with Iris Murdoch, London, Sept 5 1944 (also shown), predating the publication of her own first novel by over a decade. It is valued at £150-200 in an online sale of modern first editions on March 28 at Bloomsbury Auctions in Pall Mall, London. The lot can be viewed on thesaleroom.com. 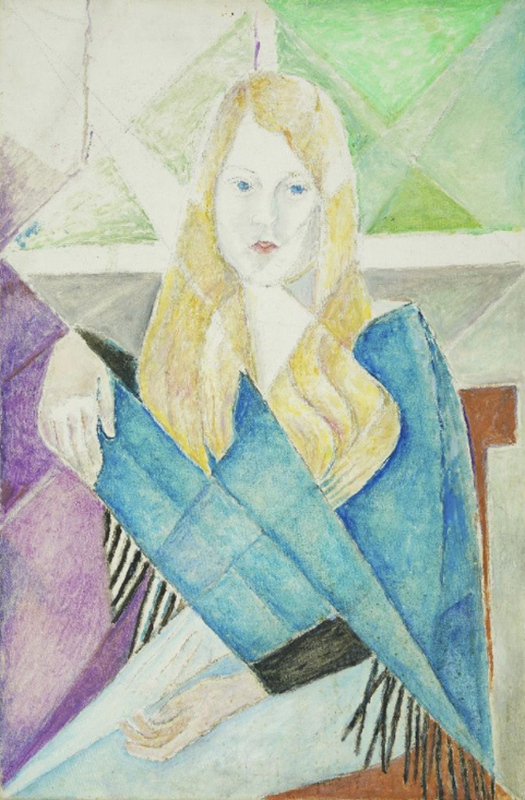 'Blonde lady in blue wrap', c.1960, estimated at £200-400, by Russian avant-garde artist Marie Vorobieff Marevna. A further offering of pictures and items from the estate of Russian avant-garde artist Marie Vorobieff Marevna (1892-1984) - the so called ‘first women Cubist’ – forms part of a dedicated online sale at London auctioneers Roseberys, concluding on March 28. Blonde lady in blue wrap, c.1960, a 2ft 6in x 20in (76 x 50.5cm) oil and graphite on canvas, is estimated at £200-400. It comes with a photograph of Marevna painting the portrait with the sitter in her home in Ealing, west London. The lot can be viewed on thesaleroom.com.